Since its inception in 2010 Smash the House has rapidly forged a reputation as one of the major players in recent dance music history. Now well into its 8th year and continuing to surge out independent and cleverly crafted releases, the Smash the House imprint has gained popularity for consistently delivering top quality dancefloor bangers, with current #2 Top 100 DJ’s Dimitri Vegas & Like Mike at the helm. This is reflected in the label continued hit success rate. Releasing music from a diverse range of artists that tread a spectrum of A-list names as well as bubbling-up talent, Smash The House grown a reputation for identifying, supporting and releasing unshakeable anthems. Names include the Grammy Award-winning Ne-Yo, who teamed up with label heads Dimitri Vegas & Like Mike for the #1 in Billboard’s dance/club chart ‘Higher Place’. 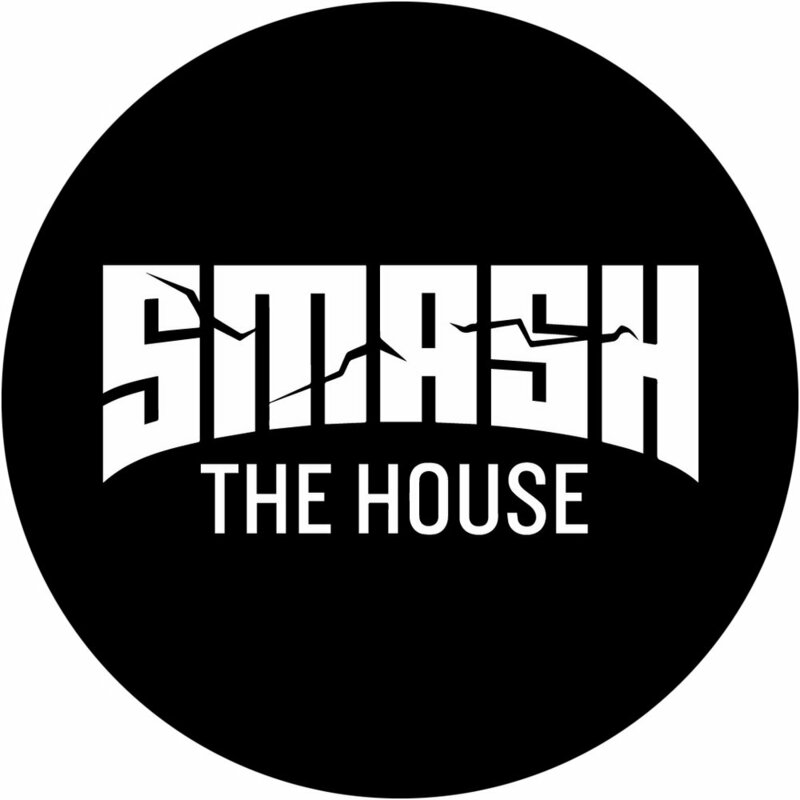 Other names under the Smash The House umbrella include the multi-platinum-selling artist Lost Frequencies, as well as a whole plethora of dancefloor destroyers including Afrojack, Blasterjaxx, Bassjackers, Chuckie, Gucci Mane, Fatboy Slim, Nicky Romero, Timbaland, Missy Elliot, Fatman Scoop, Moguai, Wolfpack and fellow Tomorrowland resident and Belgian native Yves V. As well as the music, the Smash the House team have an eye for stand-out videos as well. Perhaps the most notable example is the video for the famed release ‘The Hum’. The label drafted in global superstars Charlie Sheen and Jean-Claude Van Damme to appear alongside the song’s creators and label bosses Dimitri Vegas & Like Mike, alongside Ummet Ozcan. To date the video has received over 91 million views on YouTube, went platinum in Belgium, held the #1 chart position on Beatport and also won ‘Best Music Video’ at the EMPO TV Awards for their star-touting anthem ‘The Hum’. Summer 2017 also saw the David Guetta and Kiiara team up summer anthem ‘Complicated’, which amassed over 106 million streams on Spotify and 69 million YouTube views, whilst in 2018 the label put out the Wiz Khalifa collaboration for ‘When I Grow Up’. A strikingly stylised music video, the single has received over 30 million views on YouTube. It is apparent that the label refuses to pigeonhole itself to strictly one style, but instead focus of creating a diverse roster of artists whose music is perfectly primed for the dancefloor or scaling charts worldwide. In recent times the label has been a go-to source of music delivery for artists as wide ranging as Sidney Samson, Brennan Heart, Angemi, Mariana Bo, Coone, Deorro, Futuristic Polar Bears, HIDDN, MATTN, and Quintino. Such is the labels reputation that to date it has hosted the largest arena at Tomorrowland, 7 years in a row and also previously staged the largest arena at the American edition of the iconic Belgian born festival, TomorrowWorld - plus hosting Smash The House branded stages and festivals around the world from Creamfields to Tomorrowland. Smash The House looks set to continue its rich vein of form going into 2019 while keeping true to it’s ethos of ushering in new talent. With the Smash the House radio show currently being broadcast in a multitude of countries around the world, attracting the scenes top artists and distribution partnerships in place with big-hitters Armada, Kontor and Just Entertainment, the label continues to gather momentum with an immensely promising future ahead of it.